This lipstick, you guys. THIS LIPSTICK. If you like peachy pinks, this is for you. 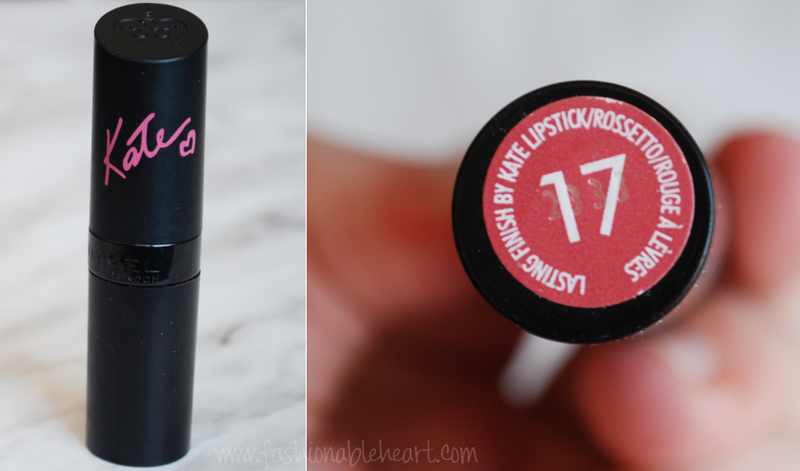 Rimmel London Lasting Finish by Kate in #17 Rossetto is perfection in a tube. Rimmel is already one of my favorite drugstore brands when it comes to lips. The Lasting Finish lipsticks and Apocalips are the jam to my peanut butter. I heard this one was limited edition before they made it permanent. Praises for that! It may still be hard to find from what I have heard, but I found mine at a nearby Target (while they are still open here in Canada...oh my breakin' heart). I was torn between another color and this, but I loved the pink font on the tube and it looked like it would be great for spring and summer. So happy that I chose it, because it met my expectations and has become my favorite pink to reach for. They do have a fruity scent that most Rimmel lip products have. I don't find it overwhelming and it doesn't last more than minutes. It's very pigmented with one swipe and I experience no feathering. It lasts about six hours on me before fading. It can accentuate dryness on the lips and is not moisturizing, so I do recommend a lip balm before applying. My bare lips, on my lips, and hand swatch. 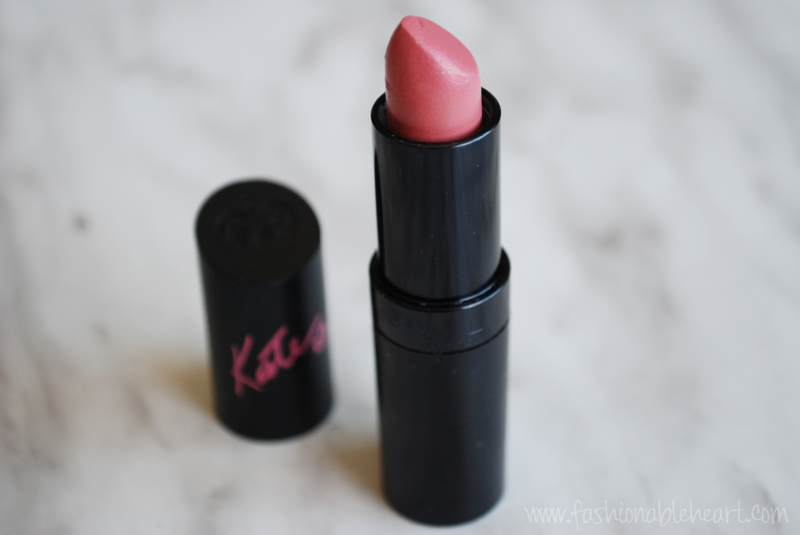 Do you have any of the Rimmel Kate Moss lipstick shades? I'd love to hear about which ones you have and what you think of them! P.S.- My Canadian/US readers, this is the last week to enter my Odylique giveaway!